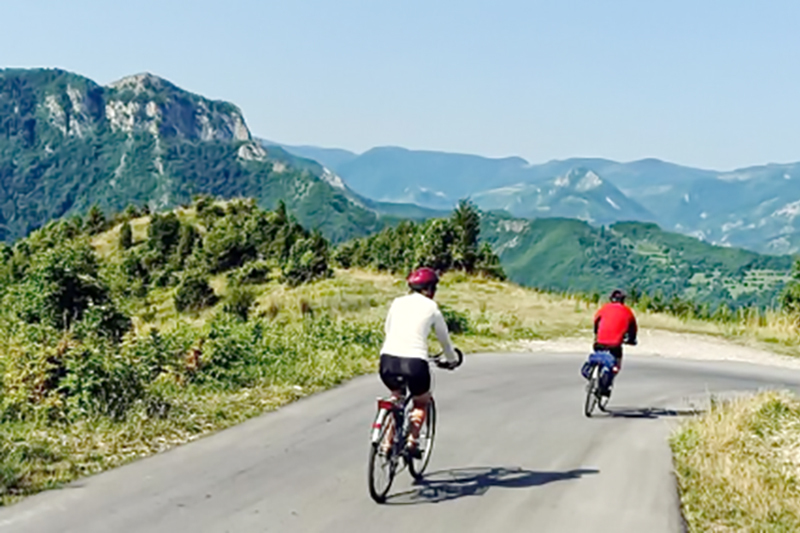 Pedal from canyon to countryside, village to vineyard, meadow to mountaintop, fully immersed in the sights, sounds, smells and tastes of the region on our biking tours. Mountain bike your way through vast forests and into the depths of steep-walled canyons. 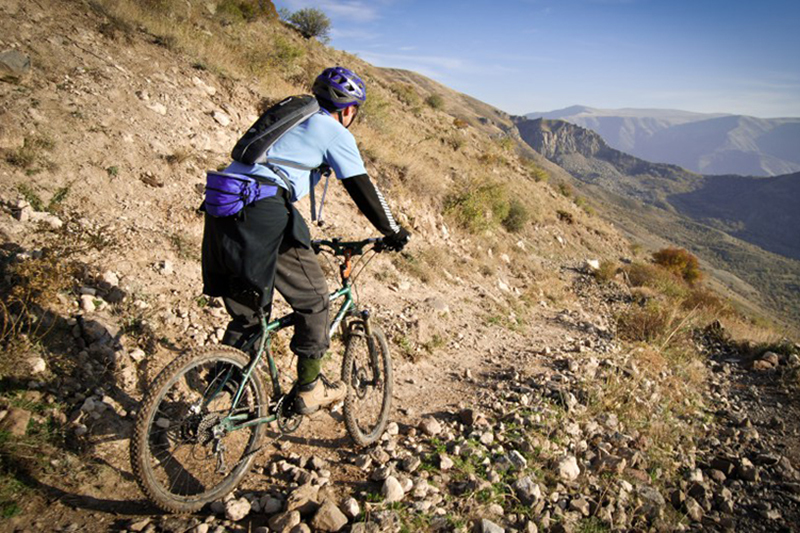 Cycle along ancient Armenian castles, churches and monasteries. Stop for photographs, a winery tour or a cup of coffee in a village caf. At the end of the day, there’s nothing better than a well-deserved soak in a natural hot spring, a glass of fine local wine, a sumptuous meal and a restful night’s sleep. 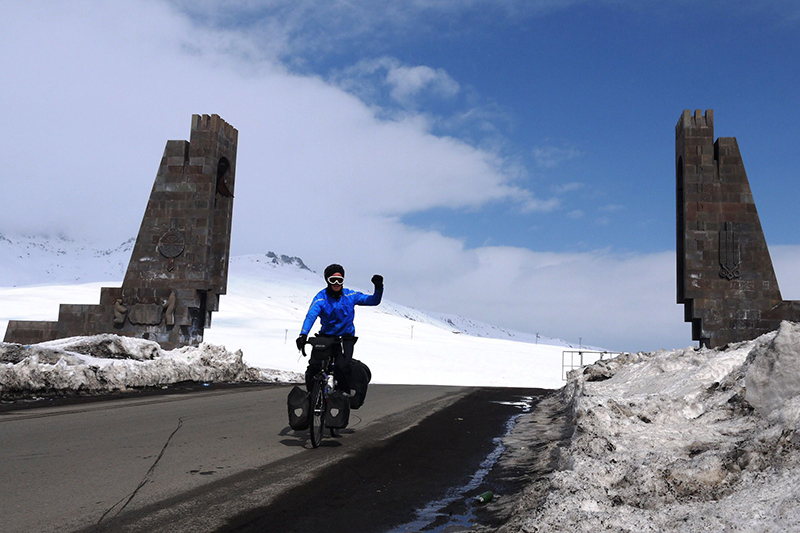 Explore Armenia on two wheels to discover all the charms this country has to offer. Yerevan, Geghard Monastery, Khosrov reserve, Canyon of the River Azat, Garni temple, Lake Sevan, Jermuk, Goris, Tatev monastery, Amberd fortress. Arrival at Zvartnots airport. Time for leisure. City tour. 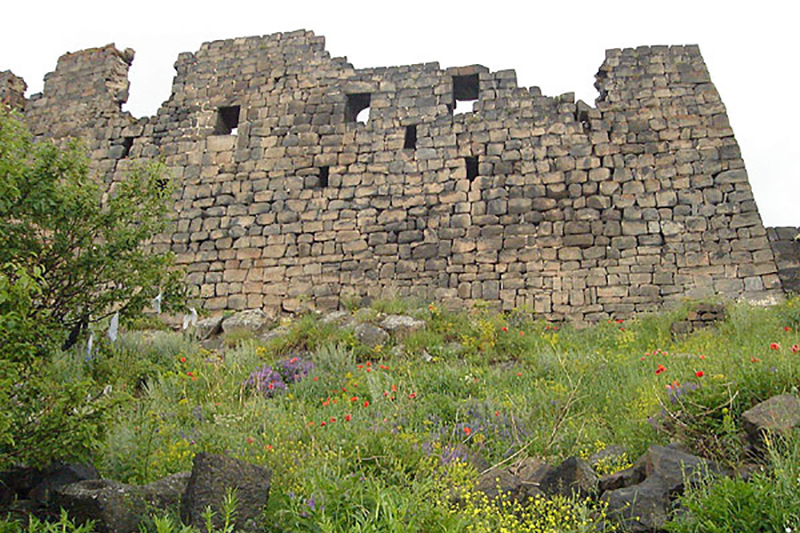 Erebuny fortress (782 BC). Dinner, overnight at the hotel in Yerevan. 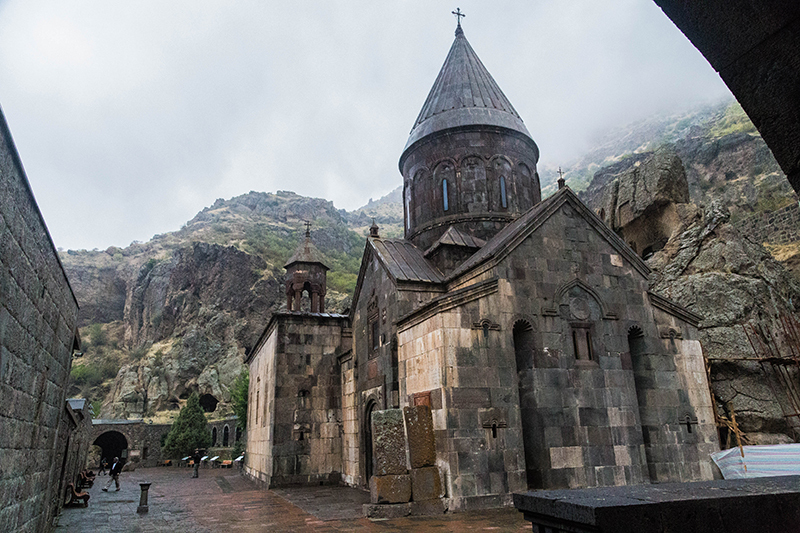 After breakfast, you will leave early in the morning and go to Geghard Monastery which was founded in the IV century. In early period, this cave construction was called Ayrivank (Cave monastery), and since XIII century Geghard, in honor of the sacred spear of Longinus which had been kept in the monastery for a long time. The monastery was once one of the largest cultural centers of medieval Armenia. After the excursion around the monastery, you will be lifted with bicycles to the top of the rocky mountain by trucks. 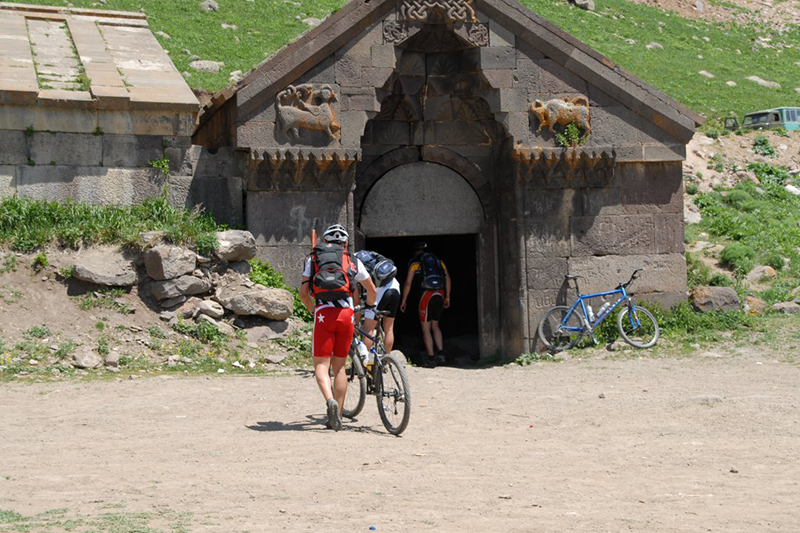 From there starts your cycling journey through mountains over Geghard Monastery. 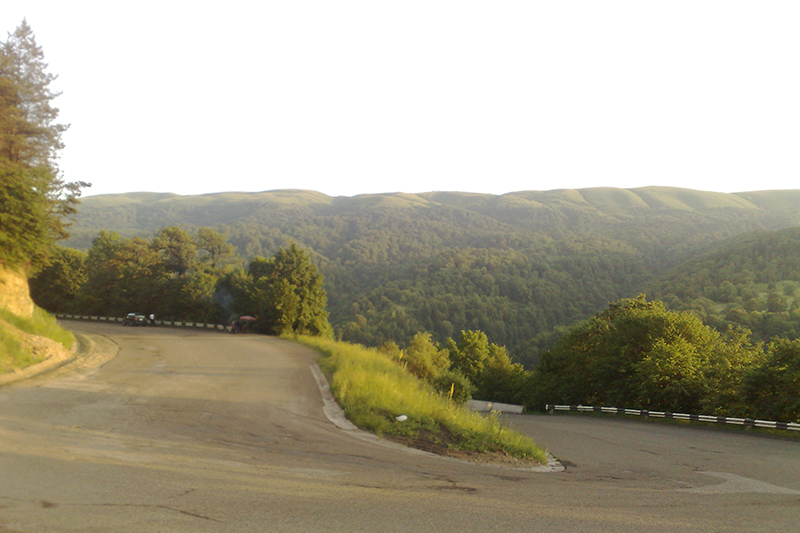 The road will lead you through the plateau and then down to Khosrov forest state reserve. You will reach an ancient monastery Aghjots (XIII century). After the exploration of the monastery, the tour continues down to the river (small climb 100m in length) to the village of Gilan. Here a delicious lunch will be organized during which you will have an opportunity to communicate and get closer to locals. 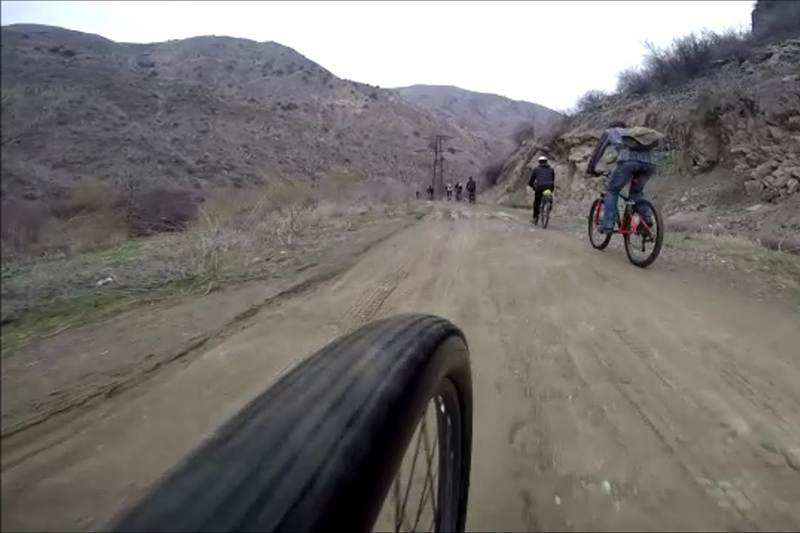 Then you will continue your way out from Khosrov reserve and go up around 1,5 km carrying the bikes (not riding). After leaving the reserve, the way continues to the amazing Canyon of the River Azat. There is a significant natural monument called The symphony of stones which is formed by huge basalt columns. 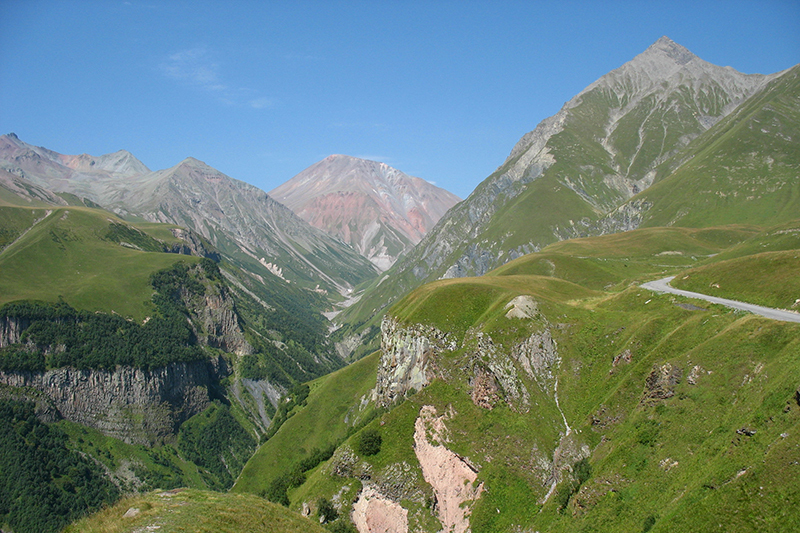 After exploring this natural beauty you will climb to the town of Garni. The cars will already be there, waiting for you to take you to Garni temple (II-I B.C.). After an excursion, you will return to Yerevan. After breakfast in the hotel, you will go to the village of Tsovagyugh located near the amazing azure Lake Sevan the pearl of Armenian nature. The cycling will start from 2000 meters high above sea level, which will be an excellent acclimatization for you. Then youll start riding up, and the destination will be 2500 meters above sea level. The length of the journey is 13 km. From the whole journey, the most difficult part is the last 1.5 km. 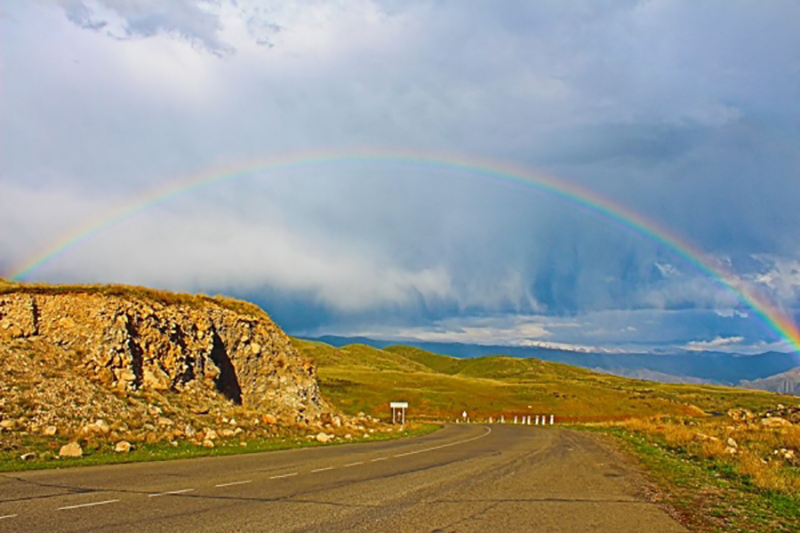 Having reached the top of the hill you will enjoy the magnificent view of mountains, villages, nature and Lake Sevan. After a snack, you will begin the descent to the village Drakhtik. 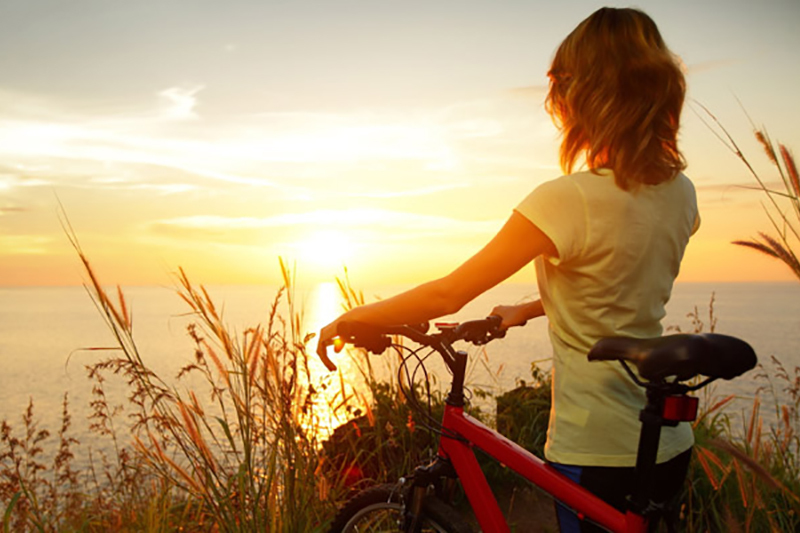 During the cycling, you will be amazed with the view of the nature. After reaching the village you will be transferred to the hotel located not far from Sevan Lake shore. If the weather is fine those who wish will be able to swim in the lake. You will also have dinner there. Your cycling tour will begin in the morning. You will ride to the famous resort town of Jermuk (2000m high from sea level) and enjoy the natural beauties on your way. This days riding will be 3000 m high from the sea level. During the trip, you will visit two amazing lakes. And in the evening, you will have the opportunity to walk around Jermuk and enjoy its sights. 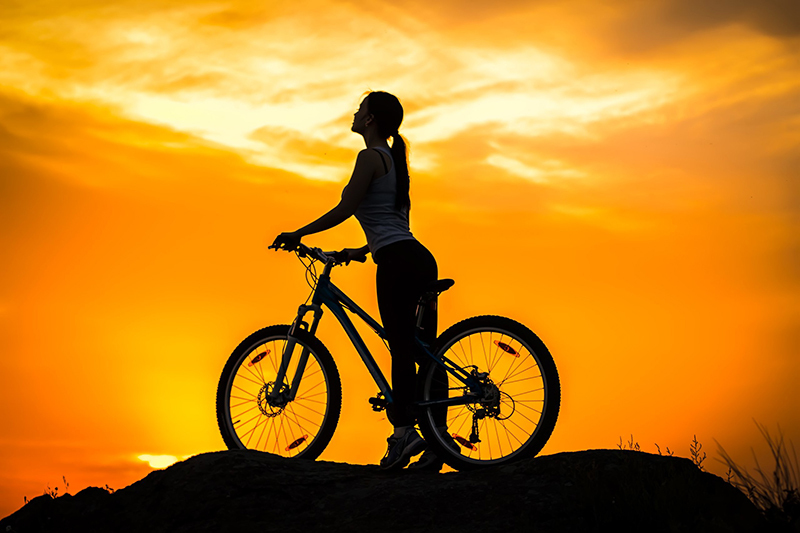 On the fifth day, right from the hotel you will take the bikes and ride to your next destination. The road will lead you out of the town and turning to the left we will appear on the off-road zone. The days climb will be about 9 km. After reaching the highway you will be transferred to Goris town and have an overnight there. After breakfast, the bus will take you to Goris town, after which you will take the bikes and head to your riding destination. The off-road will pass through beautiful woods, above gorges. The first stop will be at the one of the most famous monasteries of Armenia Tatev monastery the gem of Armenian medieval architecture. The journey to the monastery will be pleasant and relaxing as the route is not so long. On your way, you will visit the unique church of the Xth century, which has a great architecture. 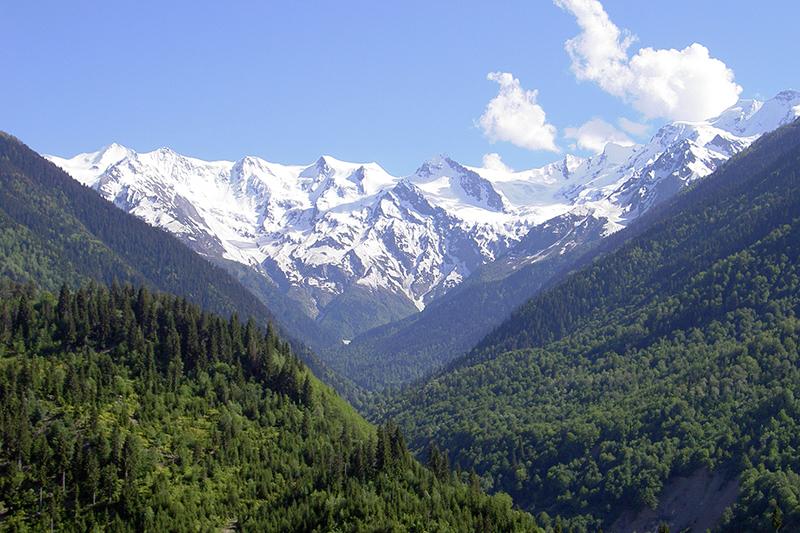 You will also enjoy the amazing view of the Vorotan gorge from above. The sight is really impressive! 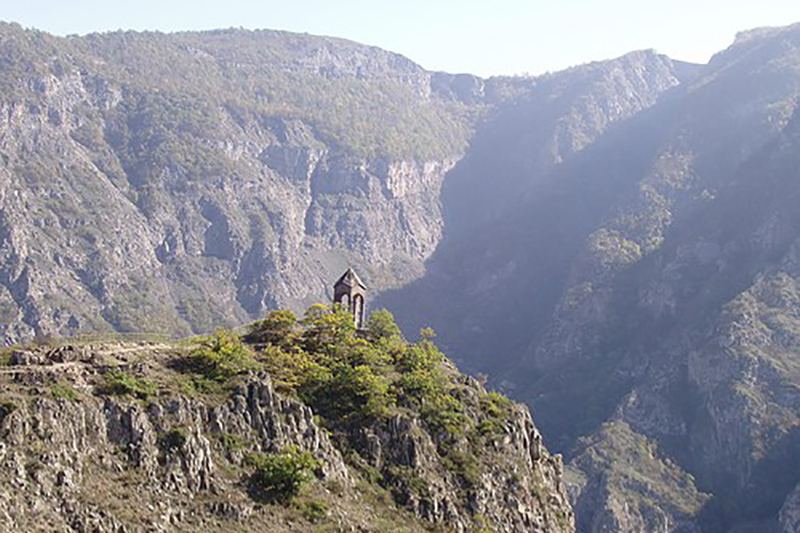 At the end of your way, you will be amazed by the beauty of Tatev monastery. After having an excursion, the car will take you to Yerevan. Early in the morning, you will be transferred to the lake Kari, which is situated 3200m above sea level, at the slopes of Aragats Mountain. Here you will start the climb up to 3700-3800m above sea level. Having reached Lake Kari the way continues to Amberd fortress (V-VII centuries). The climbing part is not too long; it is steep and difficult, so you should climb slowly. But during the journey, you will enjoy surroundings. The will be an interesting excursion around the Amberd Fortress after which the car will take you to Echmiadzin town the religious center of all Armenians. Here is located world-known Echmiadzin Cathedral (301-303 ) the first official Christian church in the world. After the excursion to the monastery, you will be transferred to Yerevan.